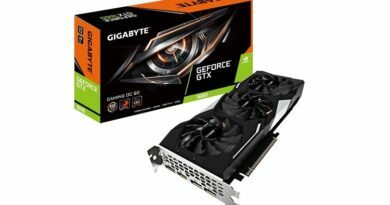 Gigabyte has recently introduced its Z390 AORUS Xtreme Waterforce 5G Premium Edition Bundle which delivers extreme performance with all cores at 5.1GHz and higher on Intel Core i9-9900K processors pretested and paired with the Z390 AORUS Xtreme Waterforce Motherboard. The flagship motherboard features top-of-the-line heat dissipation with striking aesthetics, drawing out the best performance from Intel Core i9-9900K processors which have been handpicked and pretested for their high quality overclocking, to ensure that every Xtreme Waterforce 5G bundle can hit 5.1GHz at all cores for next level overclocking and performance. Intel Core i9-9900K processors have been highly sought after by users for their excellent performance and overclocking capabilities since their initial release, resulting in shortages in the market. For overclockers, the processor’s overclock potential is contingent on many different factors including heat dissipation efficacy, overclocking skill, even the quality of the processor itself. Under these circumstances, users often have second thoughts about purchasing a processor like the i9-9900K since they aren’t fully confident that their components can bring out the best performance from the i9-9900K. 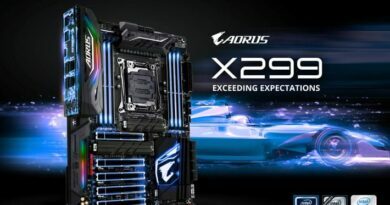 To address this, Gigabyte partnered with Intel to launch the Z390 AORUS Xtreme Waterforce 5G Premium Edition Bundle, pairing 2019 Red Dot Award Winner Z390 AORUS Xtreme Waterforce with a handpicked and pretested i9-9900K processor as well as highly efficient thermal paste. The BIOS has also been pre-tuned so that users won’t have to configure the settings to avoid complications and confusion for hitting all cores at 5.1GHz and higher while overclocking. 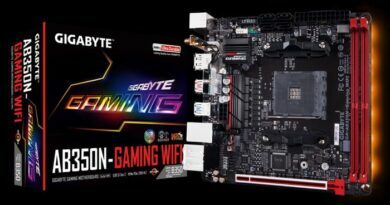 Additionally, GIGABYTE engineers have already stress tested these motherboards at higher loads compared to that of standard configurations to ensure the reliability of these boards so that users can enjoy extreme performance with all cores at 5.1GHz or higher and excellent stability. 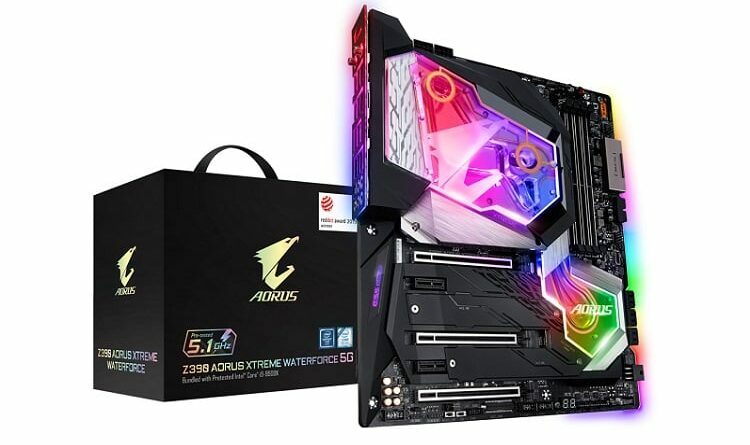 Gigabyte Z390 AORUS Xtreme Waterforce 5G Limited Edition Bundle features a Z390 AORUS Xtreme Waterforce Motherboard based on the all new Intel Z390 chipset. The motherboard’s signature built-in cooling monoblock extends from the CPU, VRM to the PCH for extreme cooling. Built-in liquid leakage detection activates the protective mechanism immediately if the system detects any liquid coolants on the monoblock so that system performance and components are kept in check. Furthermore, the customizable, multiple lighting zones with vibrant digital LED lighting, smart temperature control, critically acclaimed Gigabyte Ultra Durable Technology, along with various patented Gigabyte technologies make this motherboard perfect for overclockers, gamers, case modders, alike so they can build the ultimate platform with their own flair to make the most out of the board’s exceptional performance, durability, and extreme cooling.